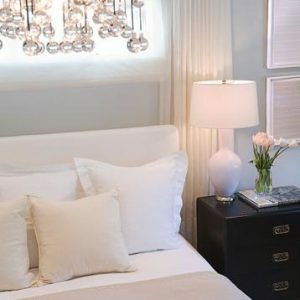 Last week I featured my 4 tips to start your bedroom makeover on GMT. You can watch it here. I figured you may like to have a little additional eye candy to help inspire you. Start with a fabulous bed! This stunning upholstered bed is one I designed & made for a client. 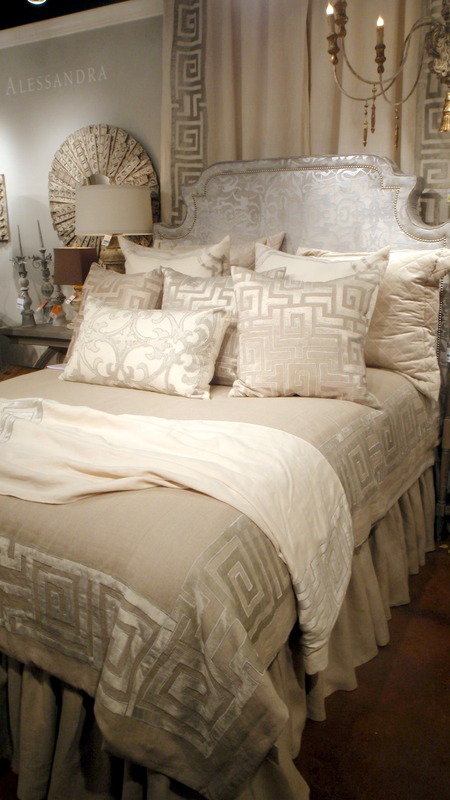 It’s graceful curves, tufting and nail head trim detail make it a real statement piece for their bedroom. Monochromatic beauty from the pages of Elle Decor. Every fabulous bed deserves a fabulous bench. Check out this hottie ~ a luscious red velvet headboard. 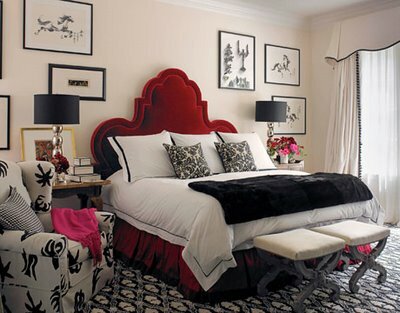 I always love a red, black & white color scheme. This one is executed so well because they let the showstopping red headboard stand on it’s own with only a few smaller doses of red in the bedroom. This allows the black & white to balance the rest of the room. 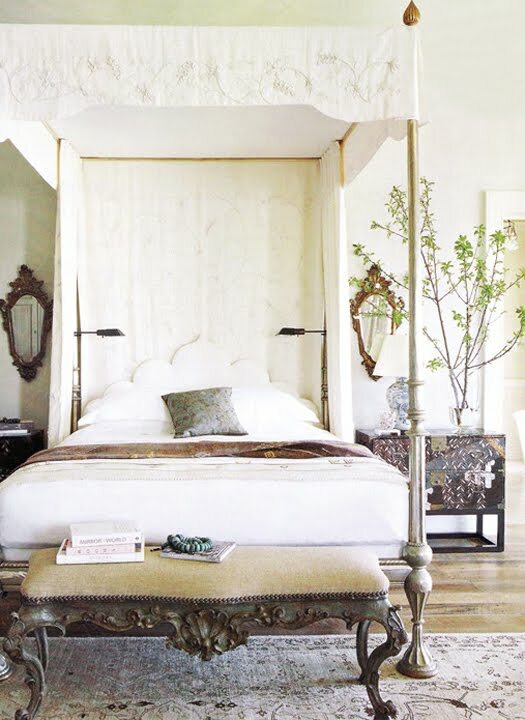 I’m a sucker for a great iron canopy bed. I had one very similar to this one in college. I also had sheer drapery panels hanging from each of the posts. It makes your room feel like a quaint little getaway. This bedroom could easily fit right into my home. 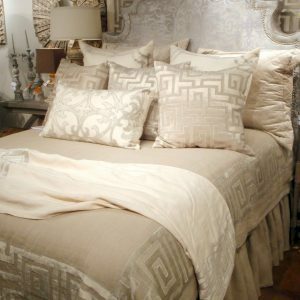 Don’t skimp ~ get yourself some magnificent bedding! 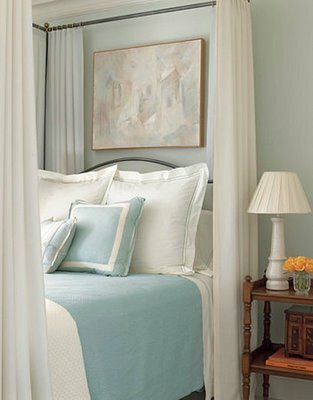 I love the idea of using drapery to frame a bed. It’s just so romantic. 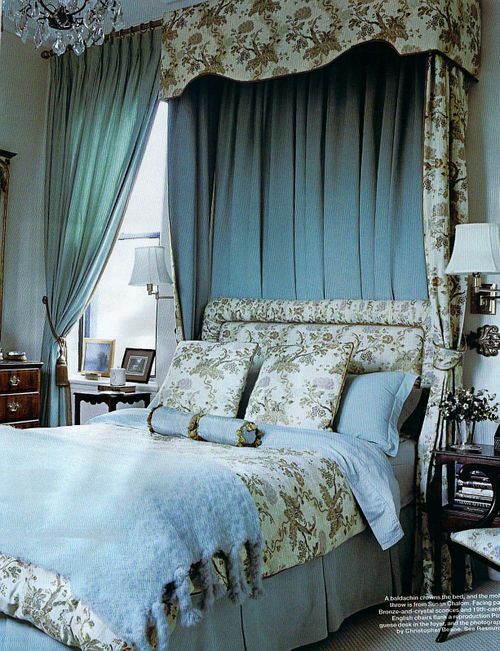 Another stunning bedroom featured in Elle Decor. They layering of the different hues of blue has a tremendous effect. 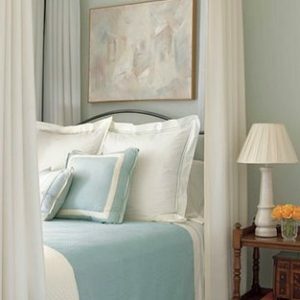 The cool crisp linens are so calming and peaceful. 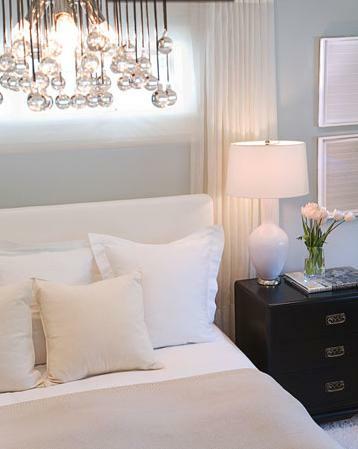 Add color to your bedroom through the use of lovely lamps like this orange beauty. 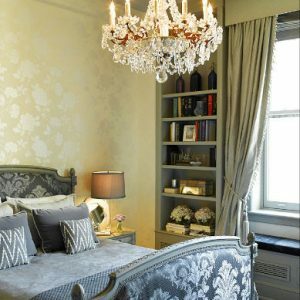 I love putting chandeliers in bedrooms. This piece is perfect for all of you lovers of contemporary design out there. 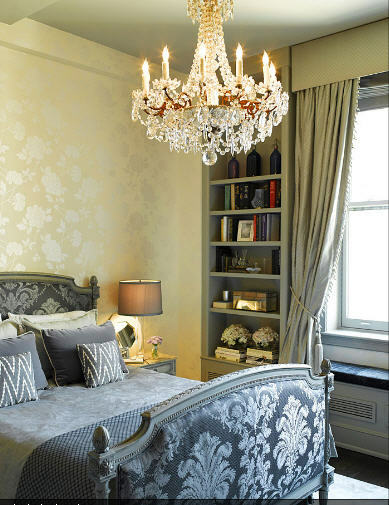 The gorgeous chandelier in this bedroom is the perfect compliment to the rest of the regal setting. So classic and luxurious! 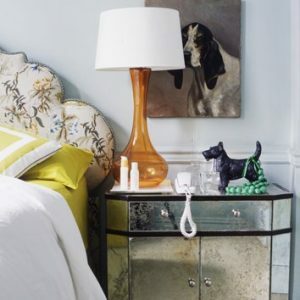 Select great nightstands! Remember ~ they don’t always have to match. 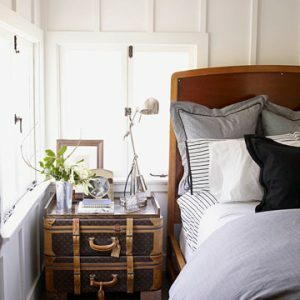 I heart these vintage suitcases stacked on top of each other to create a bedside table. Muy fabuloso! How cool is this? They used a small ottoman with a silver tray on top to create a nightstand. I also love the combination of pink, black & white. This looks like a room I would create for my daughter for her teenage years. I think I would do a fabric Roman shade instead of the woven wood window treatment.